If you’re dreaming of a new Bar Crusher for Christmas, now’s the time to speak with your dealer. 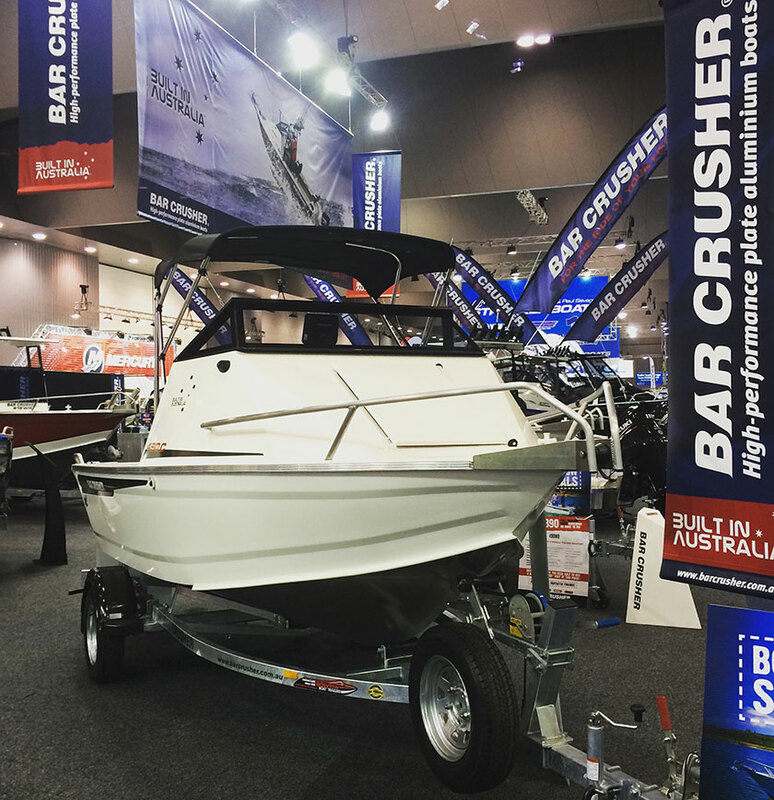 Being in the middle of boat show season, most Bar Crusher dealers have a good range of models in stock and order books for pre-Christmas delivery are filling fast. Remember: never buy a boat without testing it on the water first! All boats look good in the showroom… and the reality is all boats perform well on a calm day. The big test is to test a boat in a bit of wind. Ideally, 15-20kt of wind and up to a metre of wind chop. 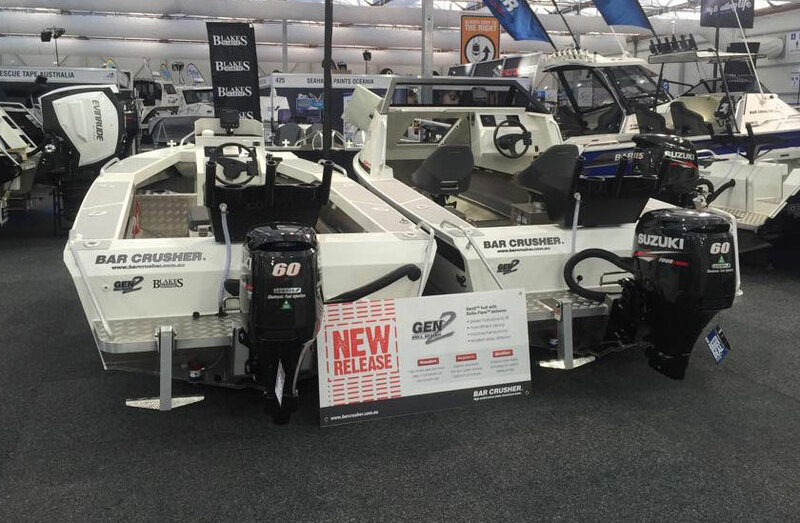 Our dealers really put Bar Crusher boats through their paces during on-water tests to demonstrate what each boat can do and handle. If the wind is up and the water’s choppy, don’t be afraid to ask… it’s in these conditions when Bar Crusher boats really set themselves apart from the pack! Some dealers are also conducting on-water test days soon, so contact your nearest dealer to find out what’s planned. Being able to test several models on the same day is a great opportunity to find out which Bar Crusher boat will best suit your needs. If you’re in the market for your first boat or want a great boat for the family, look seriously at our new 490C and 535C (the latter has just been upgraded to incorporate our Gen2 hull design). Although they’re the two smallest cuddy cabin models in our range, they’re built in the same way as our larger Fishing Weapons – and can really mix it with the big boys! Likewise our new freshwater, estuary and inshore pocket rocket, the 490WR. This boat has already received rave reviews from some of the most experienced boat testers and anglers in the country. You won’t be disappointed! As always, our hard top Fishing Weapons are in huge demand. With full-height tinted glass windscreens and hard tops, these boats allow you to keep going even when the going gets really tough! Click here for more boat buying tips or feel free to contact us for more information and advice about buying a boat.